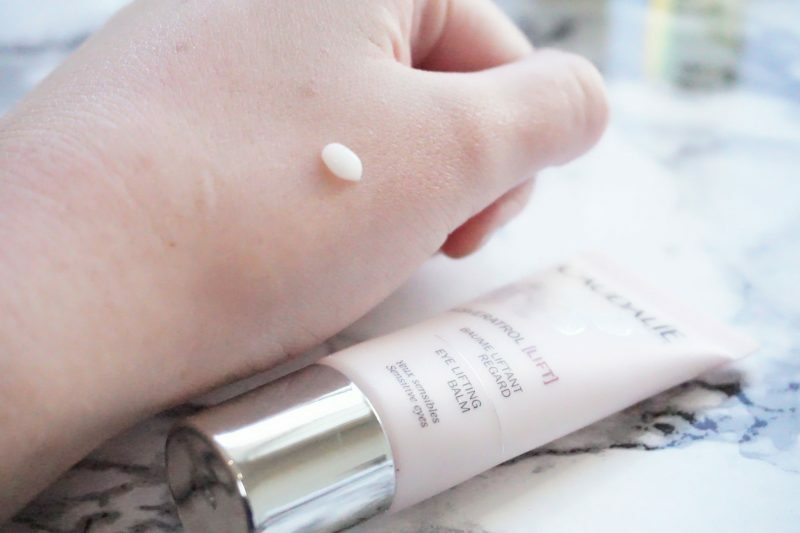 I have used eye creams for over 10 years ever since a makeup artist told me I was probably getting milia (small hard white bumps) around my eyes because my moisturiser was too rich for the skin there. So immediately I invested . 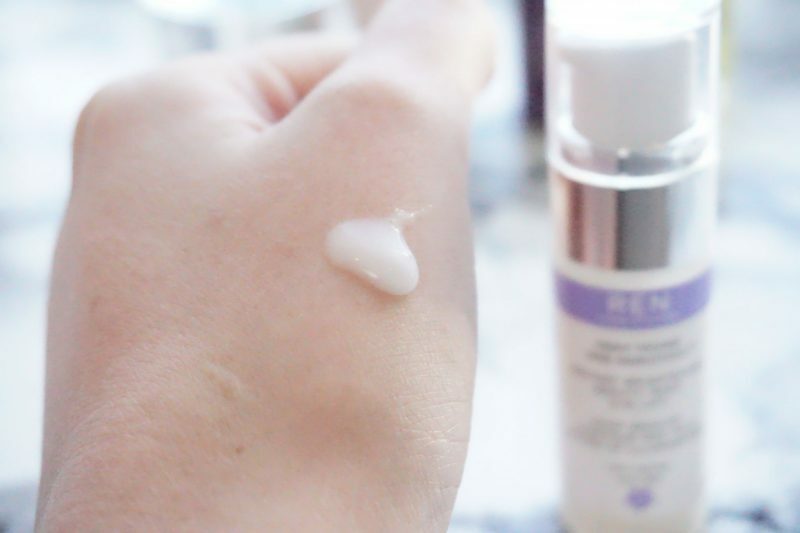 . . the milia disappeared, and I haven’t gone one day with out using eye creams since. If I am tired, stressed, hungover or dehydrated – the skin around my eye will show it. It can get red, slightly irritated and a bit puffy – especially in winter time when going from cold weather into central heating day in and day out. 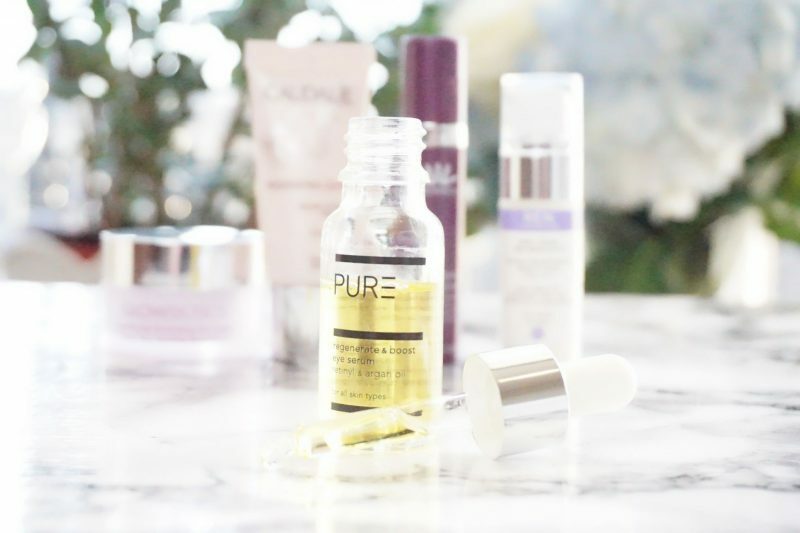 So if you have sensitive skin around your eye and are on the hunt for something new – here are my picks of my favourite eye creams to illuminate, soothe, de-puff and anti-age. 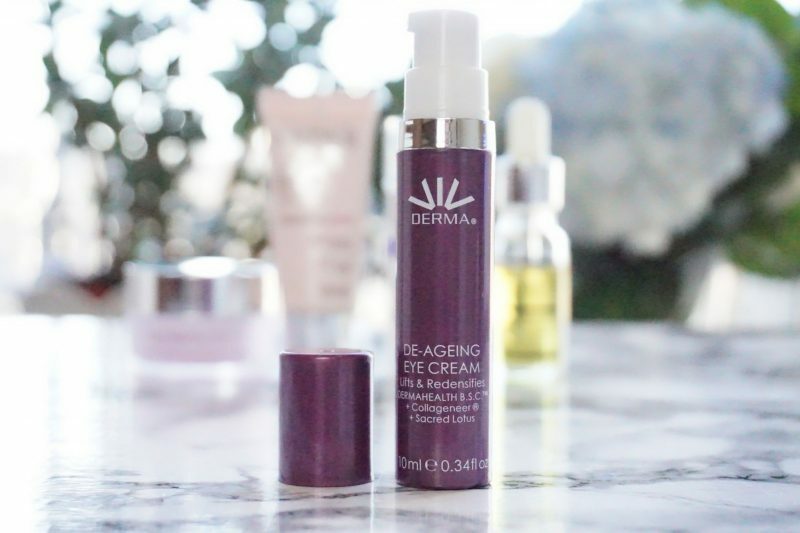 TOP TIP: If you have taken too much eye product, use the extra around your lips as a hydrating & anti-ageing treatment as the skin is very similar in both areas. 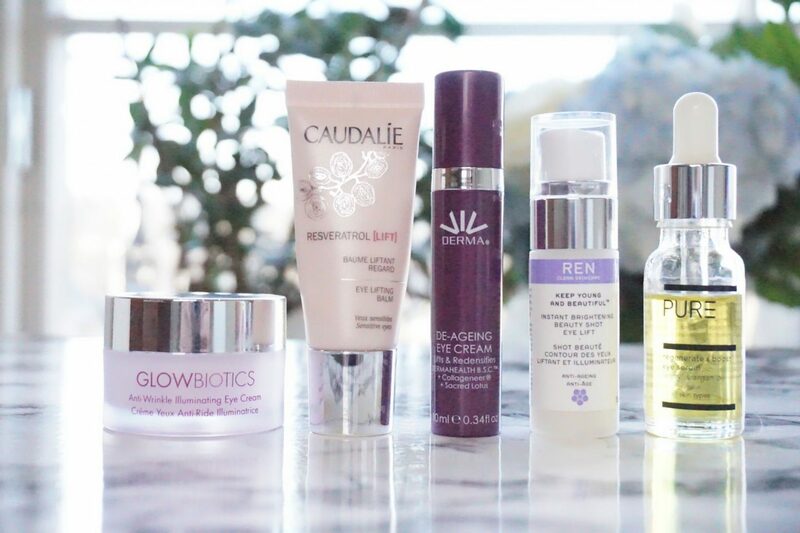 Glowbiotics is a new luxury probiotic skincare brand featuring their unique ‘Glowbiotics Balancing Complex’. A powerful blend of probiotic and prebiotic bioactives, antioxidants and therapeutic nutrients designed to help balance and restore ageing, stressed skin. Perfect if, like me, you are susceptible to irritated skin around the eye area. 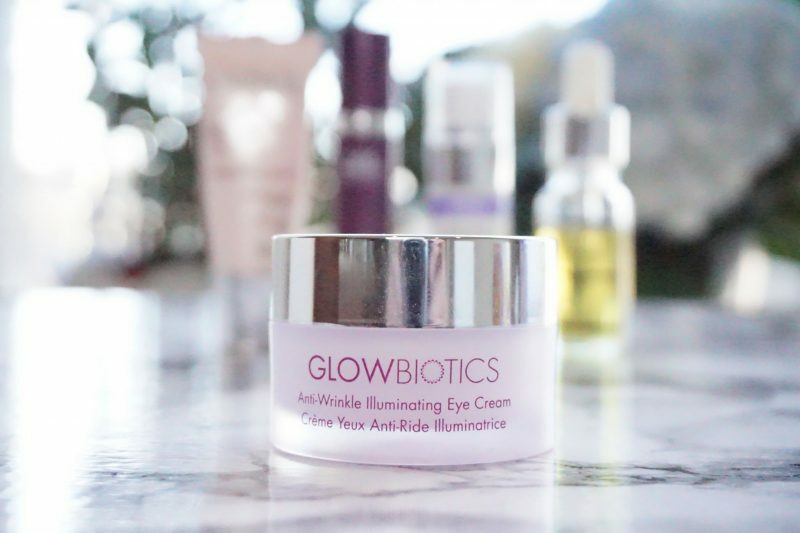 Glowbiotics instantly brightens, tightens and transforms the look of tired, puffy eyes by activating your skin’s innate repair and renew responses. At first it looks like a concealer because of the colour, but when you apply to the skin it disappears leaving you with the light reflective particles that give instant luminosity and hide dark circles. 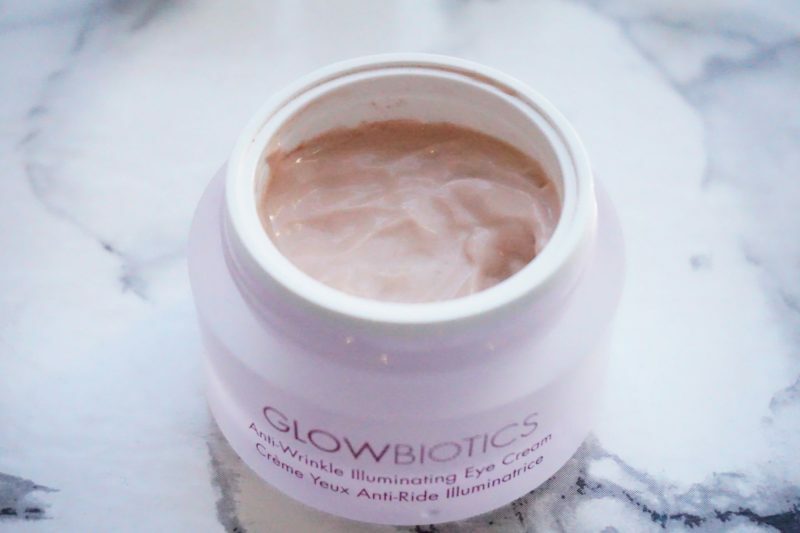 Over time (using twice a day for 8 weeks) ‘Glowbiotics Brightening Botanical Complex’ targets the root cause of dark circles, reducing the appearance of uneven skin tone and ‘Glowbiotics Fill and Firm Complex’ helps decrease the appearance of fine lines and wrinkles. 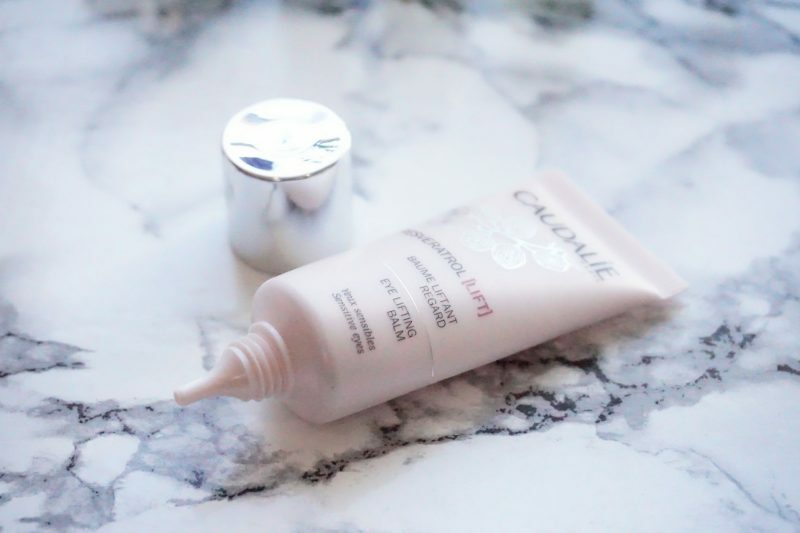 The only thing about eye creams in pots is it is very hard to control the amount of product you use, I definitely get too much product if I use my finger. 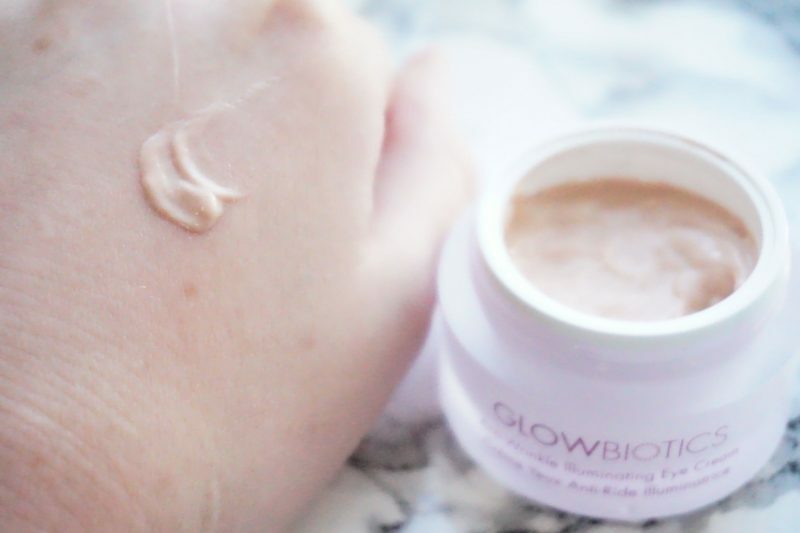 I luckily had a small spatula left over from a previous eye cream that I use with my Glowbiotics to control the amount of product I use so I am not wasting any! I love this balm, and would definitely turn to this if the skin around my eyes was feeling dry and stressed. Although it’s a balm and feels quite thick, it has an almost soluble texture that disappears into the depths of your skin and dries matte leaving you non-greasy and super hydrated. 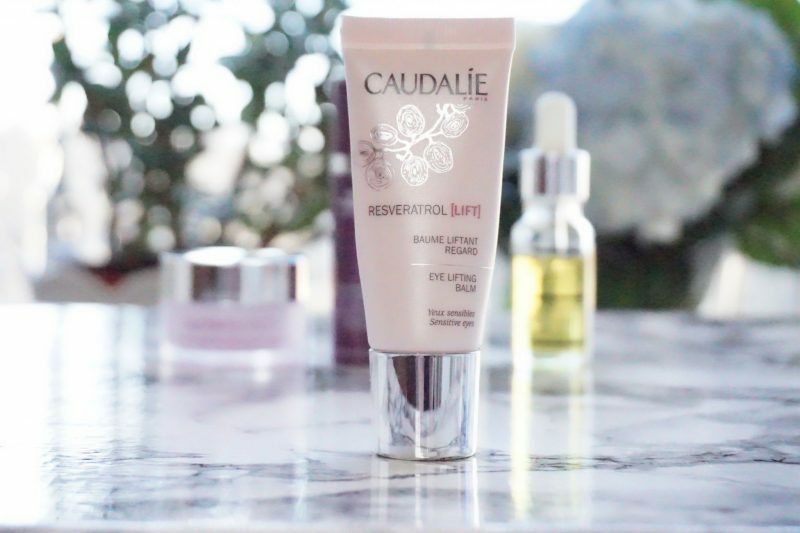 Packed full of anti-peptides and anti-ageing ingredients Caudalie’s Eye Lifting Balm is a bit of a wonder product. The micro hyaluronic acid complex effectively hydrates and plumps up the skin around the eye – lifting eyelids, reducing puffiness and smoothing out fine lines. It’s also fragrance-free, making this a great choice for those with sensitive skin. The super-soft balm can even be used to reduce fine lines around the lip area too, meaning this really is the ultimate beauty buy and well worth the investment. 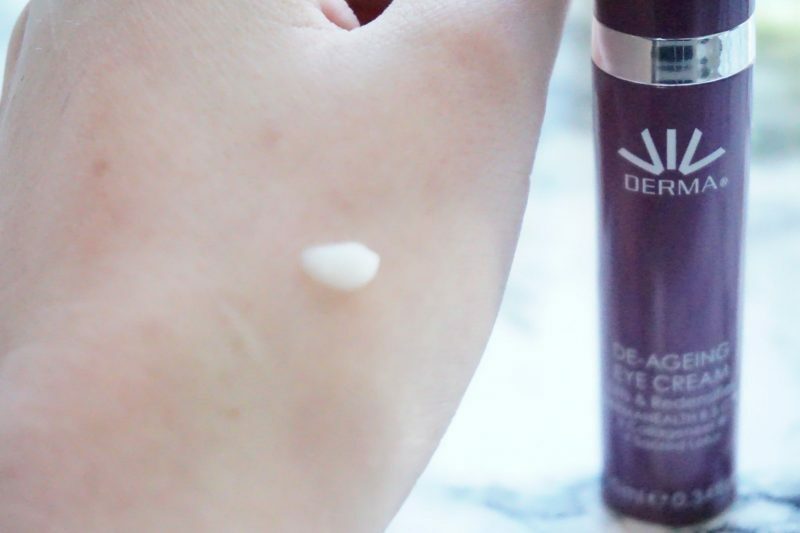 This ultra-soothing anti-ageing eye cream provides instant hydration and tackles inflammation around the eye area to smooth out fine lines and wrinkles immediately making the eyes look brighter and younger. Soothing anti-inflammatory ingredients reduce puffiness, leaving the under eye area looking smooth and refreshed, whilst anti-oxidants protect the skin from further damage. A hydra-gel type texture that again penetrates the skin quickly without leaving any residue so you can get on with your makeup. 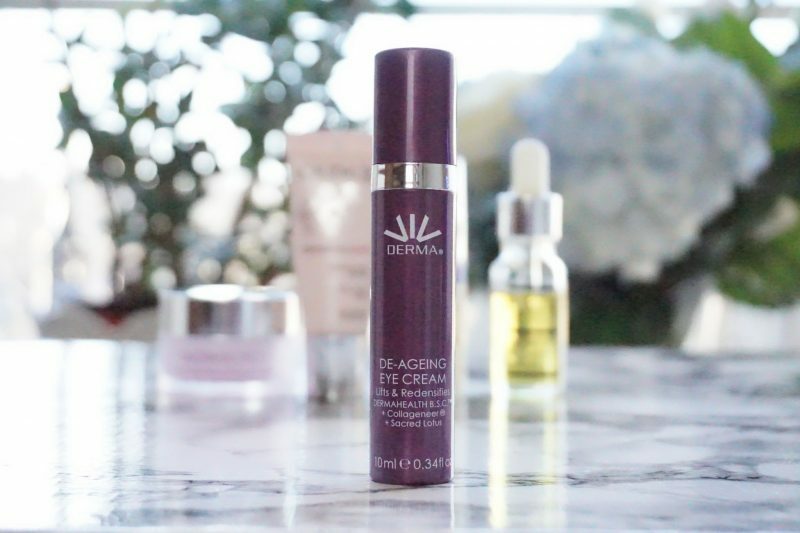 The De-Ageing Eye Cream has been developed by leading dermatologists and is fragrance free with essential pH balance for healthy skin. I love that it has a pump applicator, one pump gives you more than enough product for both eyes. 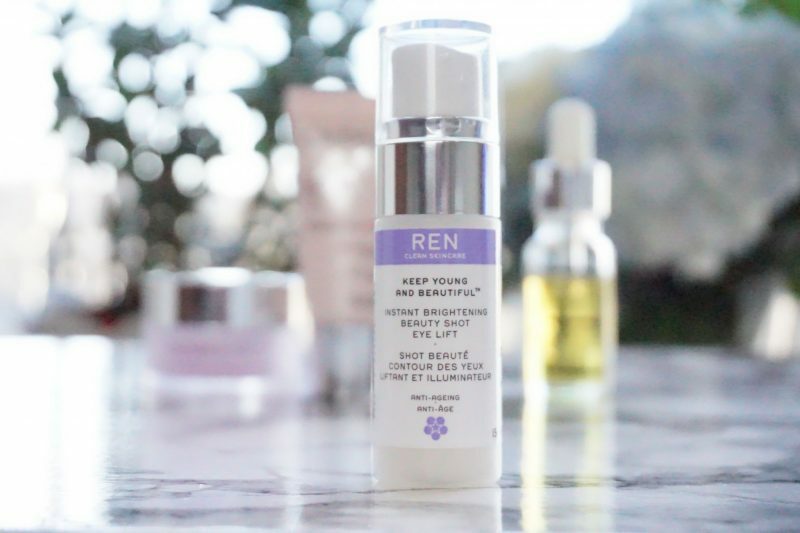 Ren’s Eye Lift is so lightweight that I would use this as a pre-treatment and follow with a cream. 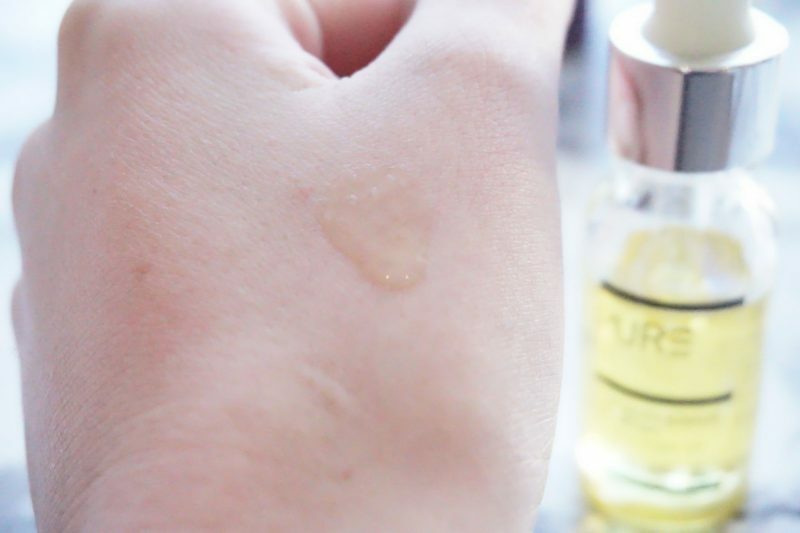 It is an almost liquid formula that disappears into your skin with no trace to lift and de-puff your eyes. It can be re-applied throughout the day over makeup for an instant lift if you feel your eyes get heavy as the day goes on. It is chock-full of line-lessening hyaluronic acid, hydrating glycerine, silicon, oils and light-reflective particles which tighten, firm and brighten the eye area in minutes. It is the perfect product for me to use on days of photoshoots or fashion shows when I will be getting my makeup done, so I have a lovely clean base for the makeup artist to work with. I keep this in the fridge for an extra cooling treat when I want to use it! Now this is much heavier than anything I am used to using around the eye area. Although it is called an eye serum, it has an aromatic blend oil like texture designed to plump, renew and revitalise the eye area. I though I wouldn’t use this in the day time but I have found an amazing use for this! Because my eyes can get dry and sensitive, concealers just dry up and crack around my eyes so I mix one drop of the with concealer to create dewy, hydrating mix that doesn’t dry up during the day!